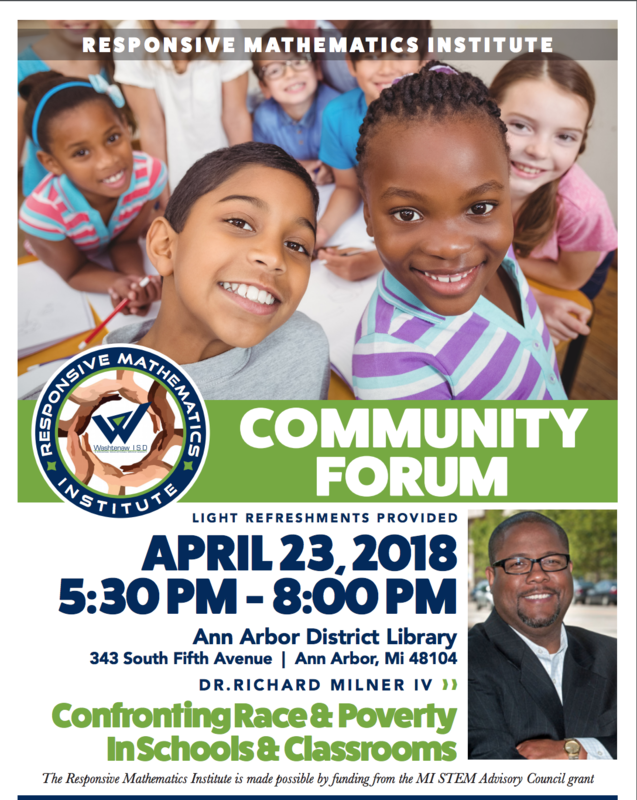 Where are inequities present in Washtenaw County? Why is it important to consider the influence of race and racism in education? Why is it important to consider the influence of poverty in education? How can we work together, to expand the educational opportunities available to all students? The keynote speaker for this event is Dr. Richard Milner from the University of Pittsburgh. Dr. Milner has authored several books including Start where you are but don’t stay there: Understanding diversity, opportunity gaps, and teaching in today’s classrooms and Rac(e)ing to class: Confronting poverty and race in schools and classrooms.